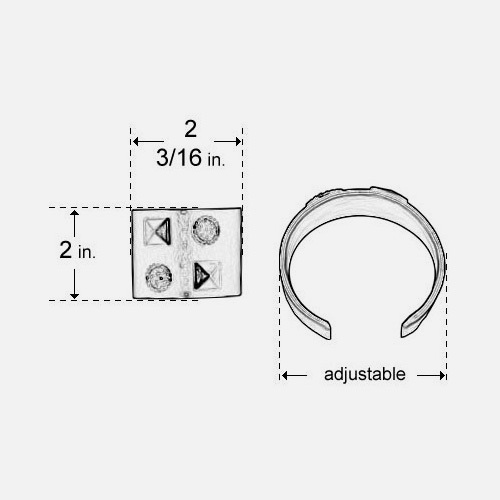 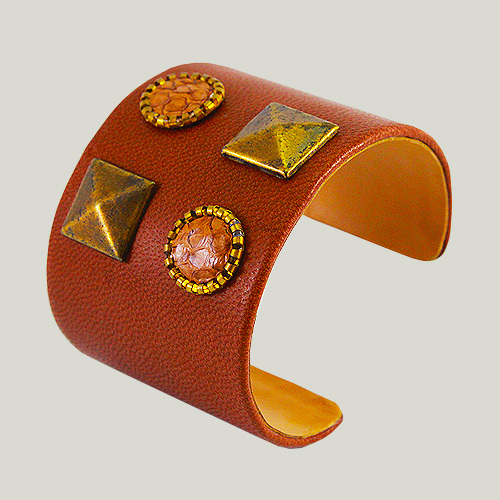 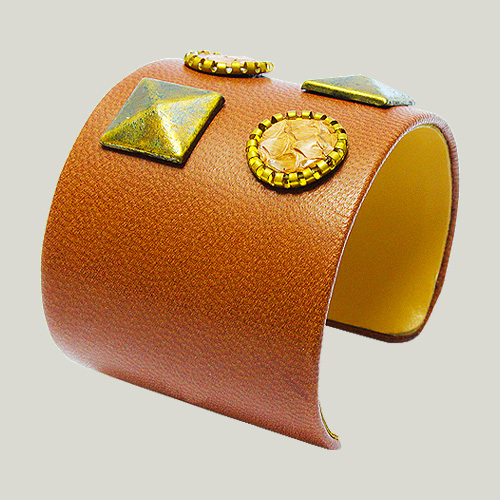 This sleek and elegant cuff is made from kid leather. 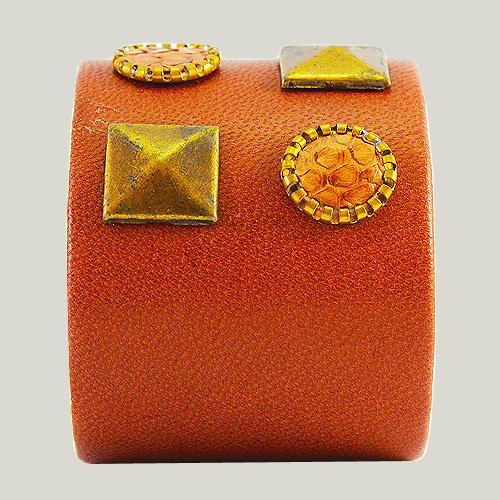 Its decorative metal stud design and polished workmanship lends dramatic sophistication to your wardrobe. 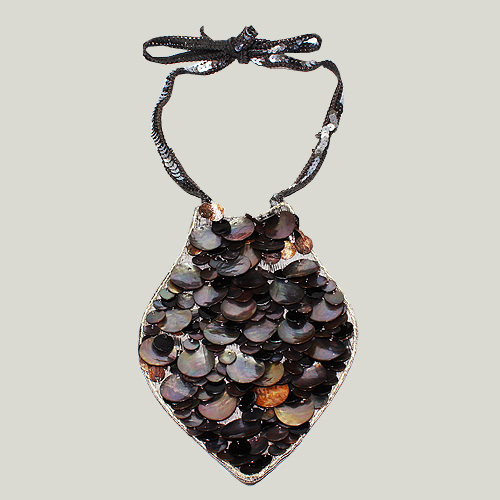 A portion of the sale of this product is donated to a foundation aimed at achieving sustainability of the natural materials which this product is made of.